Australia has been home to Aboriginal Australians for over fifty millennia. When British colonisers arrived in 1788, over 500 Aboriginal clan groups lived throughout Australia, each with a distinct culture, belief system, and language. 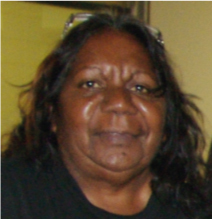 Currently, Aboriginal Australians make up around 3% of the Australian population, but in Northern Western Australia, they account for almost 50%. Over 100 Aboriginal Australian languages are spoken daily, although around 300 Aboriginal Australian languages remain as living languages. Operating since 2000, Aboriginal Interpreting WA (AIWA) are governed by a board of language and cultural leaders from across the state and provide culturally appropriate translating and interpreting services for some of Western Australia’s most disempowered and at-risk Aboriginal people. They advocate that being understood in your first language is a basic human right. AIWA interpreters are trained and live in remote communities and are on call 24 hours a day to provide services to ensure time is not lost and individuals’ rights are upheld. Much of AIWA’s work involves lobbying for interpreters to be available for Aboriginal people from the outset when they are facing legal- and health-related matters. In this 90-minute session, two representatives from AIWA will present: the CEO of AIWA, Deanne Lightfoot, and Annette Kogolo, a senior interpreter and translator. 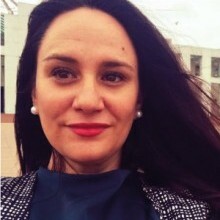 After introducing AIWA and the languages and Kriols that they work with, they will speak about Aboriginal world views, policy that enshrines the right to understand and be understood in first languages, and what drives AIWA to ensure active engagement between government and community services and Aboriginal Australians. To round off this session, some real-life examples of current issues that Aboriginal Australians face and how interpreting can assist in resolving those issues will be presented.